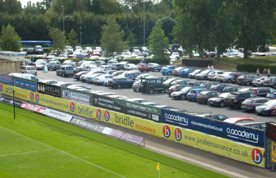 Oxford United yesterday announced a several changes effecting their boardroom and their team management, as they look to progress up the football league after a number of years of problems. Darryl Eales takes over as Chairman of Oxford United, replacing Ian Lenagan who will still be involved with United. Mark Ashton has been appointed as Chief Executive Officer. As a consequence of the new CEO appointment, Gary Waddock has been replaced by Michael Appleton. Neither the Lenagan family nor Darryl Eales owns more that 50% of Oxford United each. It is understood that a sizeable investment has been made in the Club by the new shareholder. 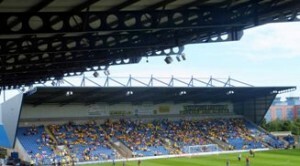 Lenagan will be taking responsibility for stadium development, with the aim for Oxford United to own their own stadium. 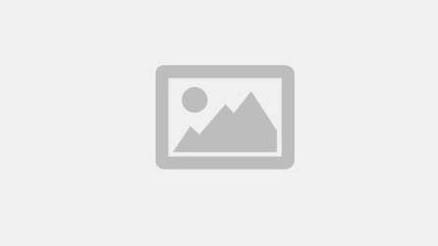 Daryl Eales was CEO of LDC, the private equity part of Lloyds Banking. The past two years since I took over as Chairman on 13th July 2012 have seen many advances including paying off of debts, financial stabilisation, recruitment and bedding in of a highly capable Sales and Marketing team, the real implementation of a Young Player Development strategy, a better match-day experience and involvement of fans generally, a good relationship with the Supporters Trust, OxVox, and the development of a much better relationship with Firoz Kassam as owner of the Stadium & Conference Centre. The Board of Directors was convinced that an excellent base had been firmly established for the future success of the Club. However, the disappointment of not achieving the Play-Offs at the end of last Season was an indication that even greater investment was perhaps needed to get up into League 1. 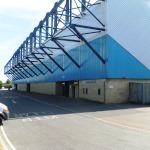 Of even more importance however was the growing certainty that – with the radical changes likely in the Planning Landscape for Oxford in the next 12 months and the opportunity which that could present to Oxford United finally to own its own Stadium – it was vital at this crucial time to plan ambitiously to take advantage of these opportunities or to lose them. Each of the Lenagan Family and Darryl Eales now has more than 30% of the shares of Oxford United Ltd but both with less than 50%. The Football League has indicated formally no objection to the new shareholdings and acceptability of all persons under the Owners and Directors Test and hence this announcement is unconditional. I would like to add that I have been impressed with everything I have seen at the club over the past months and I am delighted to be involved in conjunction with Ian Lenagan in driving Oxford United even faster along the already-defined strategy to achieve its ambitions. I look forward to meeting many of the fans, staff and partners of the club in the immediate future. A lot of people talk about Ownership of a football club. I prefer to think of my involvement as that of a Custodian of Oxford United with long-term intentions and ambitions which I share with the fans and with Ian. In the 2 games that Exeter City played Oxford United last season neither defences were breached, with both matches finishing 0-0. The 2 dates that the Grecians clash with Oxford United are: Tuesday 16th September at 7.45 at St James Park; and Saturday 31st January at the Kassam.